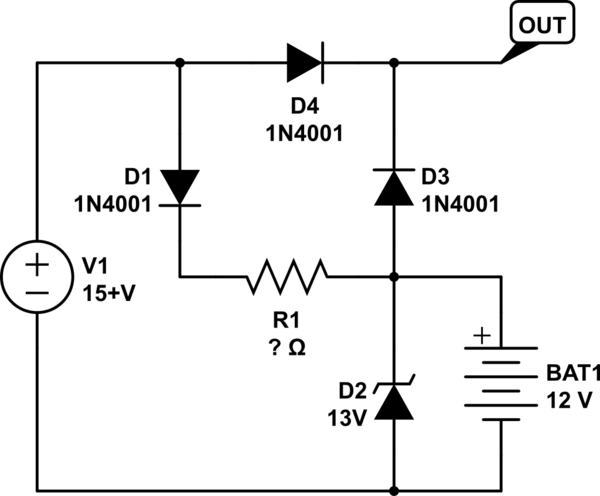 I would like to know if the schematic below would work to keep a 12V SLA battery at or close to float voltage to be used as a backup battery? R1 will limit the charge current to the battery, but am I right in thinking it is calculated by R1 = (Vin-Vzener) / Icharge and how much should the trickle charge current be? Browse other questions tagged batteries charging lead-acid or ask your own question.